After being on leave it has been some time since the last leopard post. 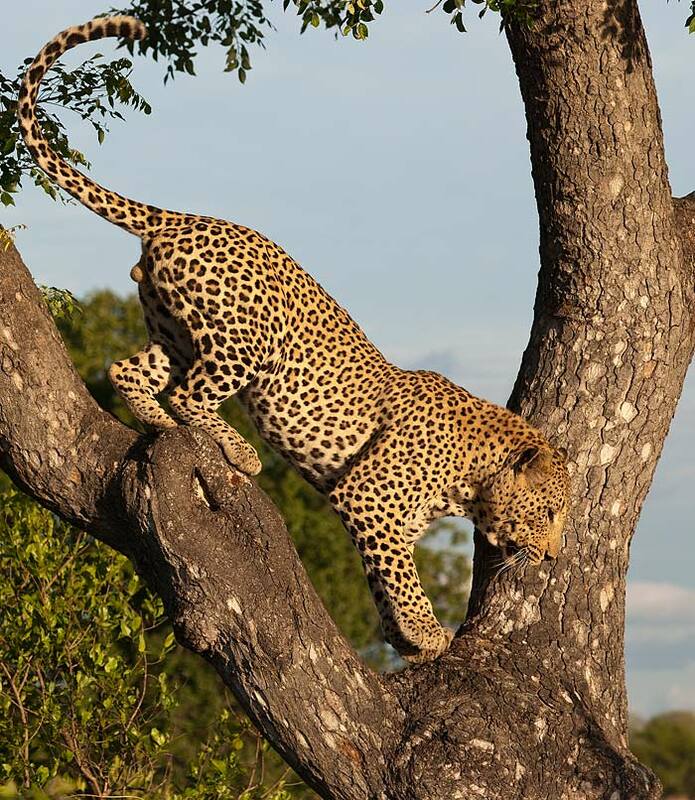 This week the leopards, for a change, played second fiddle to some of the other happenings on Londolozi, despite having some great sightings of them. 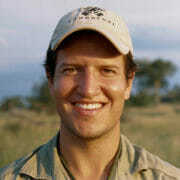 The news of the “back-from-the-dead” Tsalala cub was an especially big one. 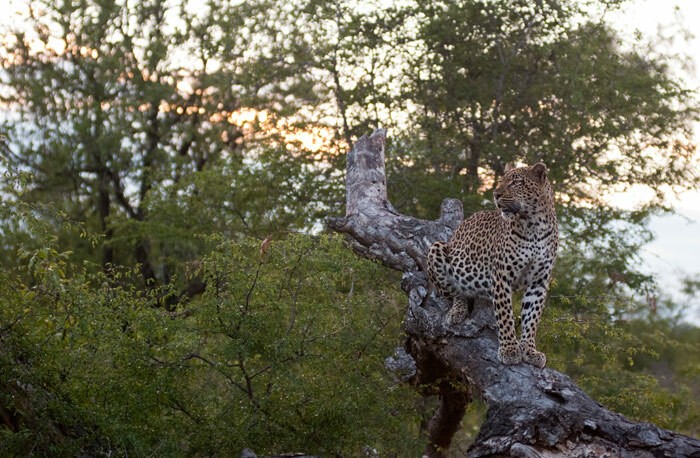 However, the leopards, particularly Camp Pan and the Tamboti Female, went about their business as usual and we were were fortunate to view them a number of times, along with some other regulars. Enjoy! After some time she retreated a little further to the top of this termite mound-still keeping an eye on the pack below, with the mist and Sithlawayisa Koppie providing a great backdrop. We had been watching the two Sparta lioness and two cubs when a distress call nearby woke them up. The two females charged off, leaving the cubs behind, and were shortly feeding on a young wildebeest-nearby, the Camp Pan Male looked on from a marula tree as his hard earned meal was devoured by the two. 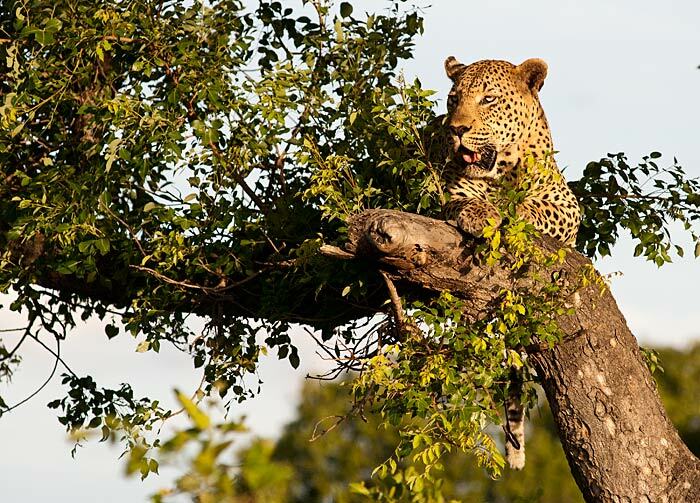 After realising his meal was lost and it was safe to come down, Camp Pan descended the tree and moved off. One of the other vehicles followed Camp Pan as he descended the tree, whilst we returned to where the lioness were feeding. 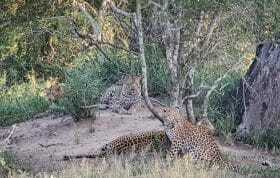 We then noticed that there was a female leopard also looking on! It turned out to be the Tamboti Female. 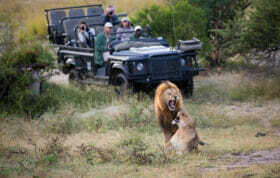 It seemed she had been mating with Camp Pan and they were separated when the lioness came charging in. We followed her for around forty five minutes as she tracked Camp Pan by scent, finally finding him around a kilometer away. 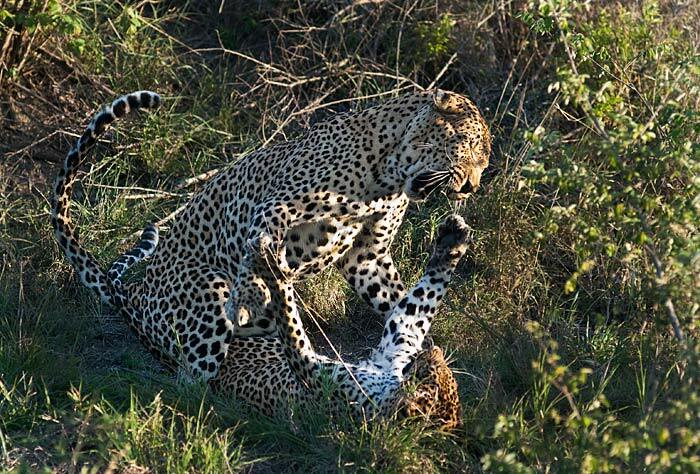 After the long search, the pair mated immediately a number of times-the very low light meant a sharp photo was not possible, but the slow shutter speed created an interesting effect, as the blur of paws and claws associated with leopard mating is well illustrated. After their reunion on the previous evening, the pair were seen together over the next three days-here we managed to have better light than on the previous occasion. 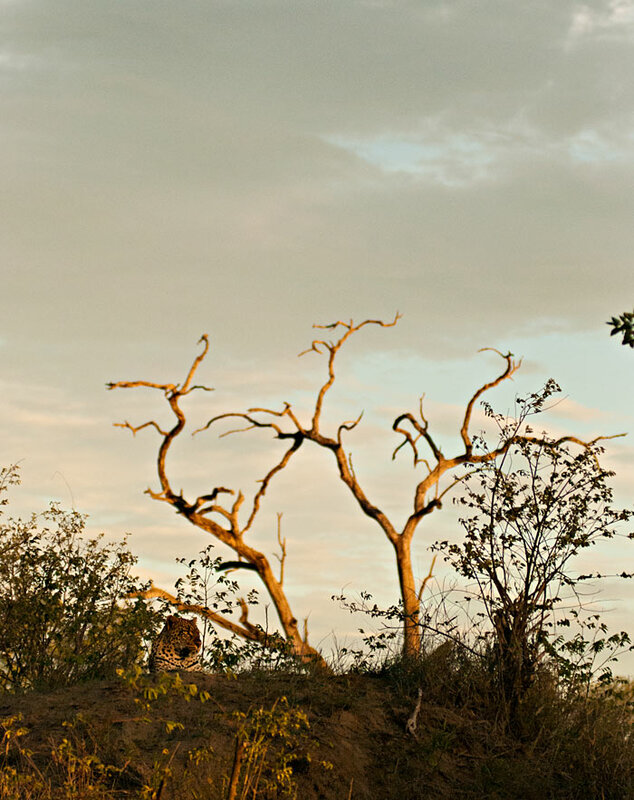 The Tamboti Female rests on a termite mound in the afternoon sun, taking a break from mating. Veld is looking so green. 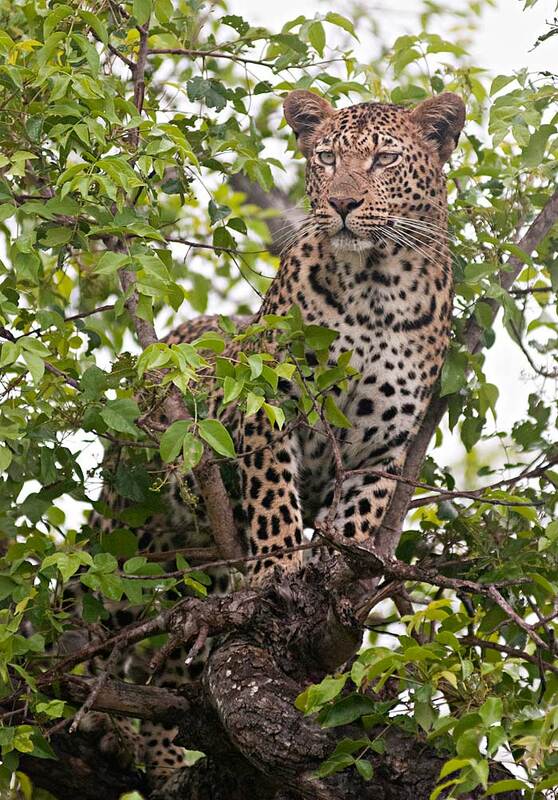 David, your first photo of the Vomba Young female in the tree is absolutely EXQUISITE – what a look….! Thank you David, I really enjoyed it all. 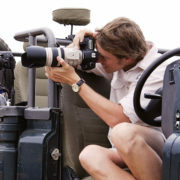 Thanks for keeping track of the other MAJOR cats at Londolozi. Lovely to see they are doing well and managing to stay out of harms way. Cat/hyena/wild dog/buffalo dynamics are so interesting…I think we (the vast majority of non-S. Africans) always assume the predators have the upper hand and always win. 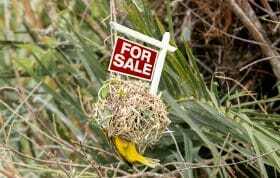 This blog is so important showing the constant struggle of ALL these wild beings to maintain a balance. Thanks for keeping us (novices) aware of all of it! Any new baby leopards roaming the area? The pics are incredible; my favorites are the ones with Tamboti female on the termite mound and that infamous londolozi giant: Camp Pan male descending the tree…wonderfully dramatic lighting!!!!! 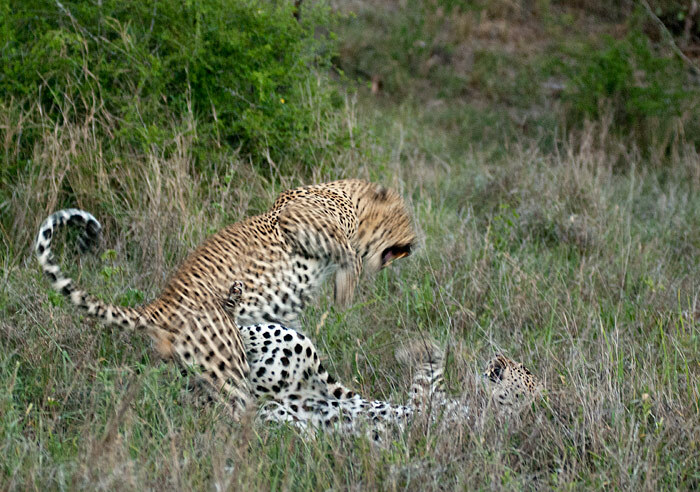 !how old is Tamboti Female,…do you share her territory with Mala Mala as well or is she another female altogether…? thanks for the great pics…. Great shots bud. 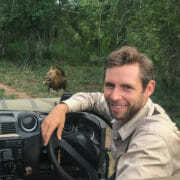 Love the one of VYF looking down with the Koppie in the background!